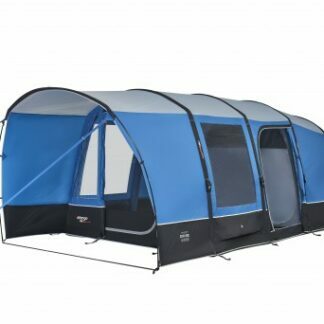 The Capri 500 Porch Door allows you to create an enclosed area on the front of your tent. 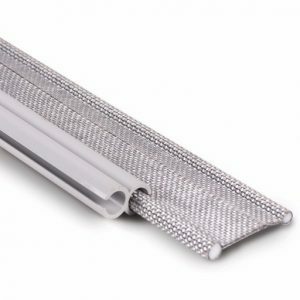 This addition easily attaches to the extension pole of your tent. 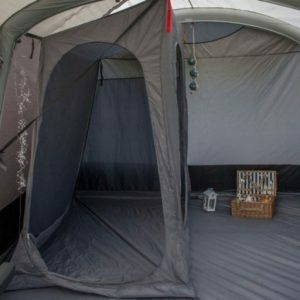 Designed to reduce the effects of condensation in your tent, the Capri 500XL SkyLiner provides a layer of air between the ceiling and the internal space in the tent. Designed to extend the life of your tent, the Capri 500XL SkyShield protects the roof of your tent from UV degradation as well as keeping it clean. 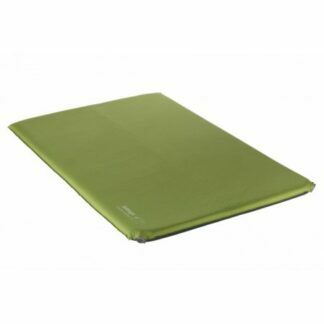 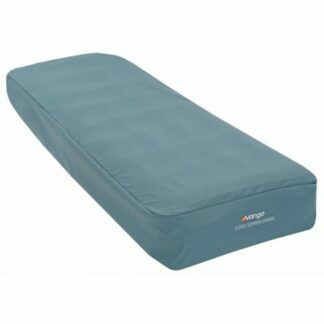 Get the Vango Capri 600XL Footprint to protect your tents groundsheet. 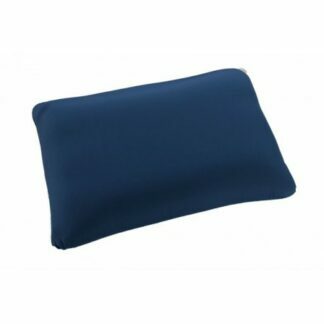 It is easy to remove and clean and will provide protection from small tears and holes from stones. 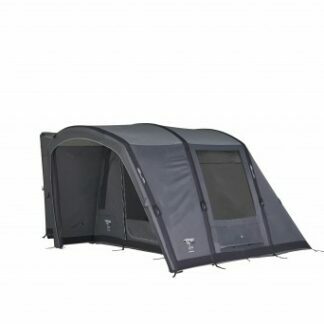 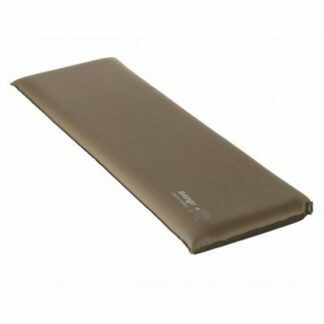 Includes a section which fits into the extension of the tent, providing a groundsheet in the porch area. 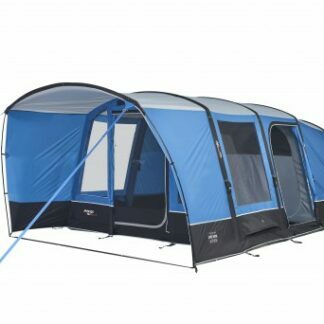 The Capri 600XL Porch Door allows you to create an enclosed area on the front of your tent. 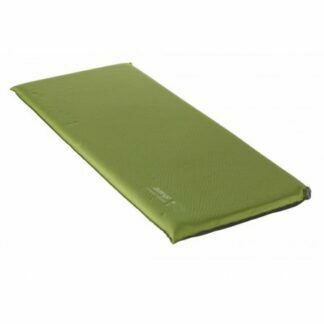 This addition easily attaches to the extension pole of your tent. 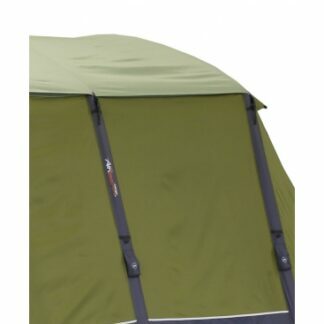 Designed to extend the life of your tent, the Capri 600XL SkyShield protects the roof of your tent from UV degradation as well as keeping it clean. 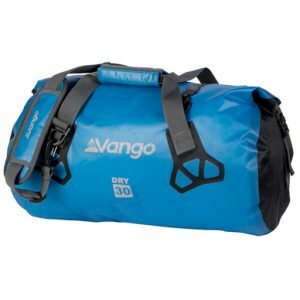 Updated for 2019 in the new sky-blue colour way, the Vango Capri Air 400XL is great for those who want a four man tent with some extra living space. 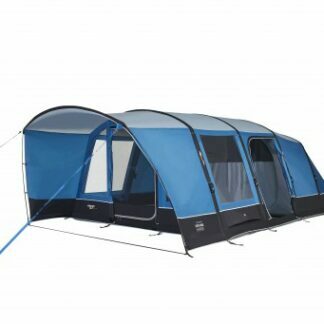 Updated for 2019 in the new sky-blue colour way, the Vango Capri Air 500XL is great for those who want a five man tent with some extra living space. 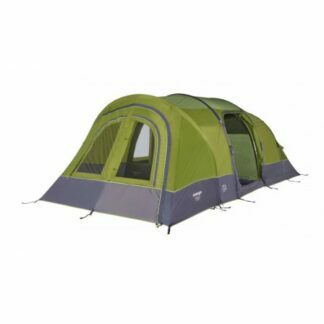 Updated for 2019 in the new sky-blue colour way, the Vango Capri Air 600XL is great for those who want a six man tent with some extra living space. 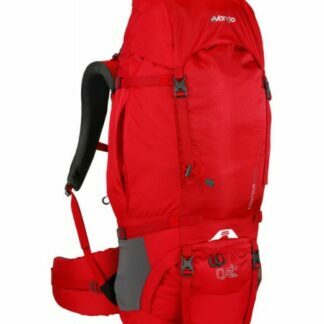 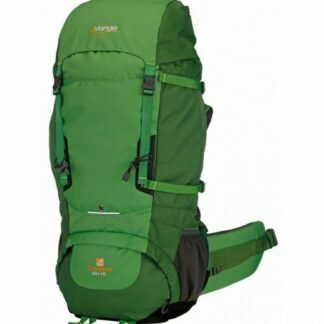 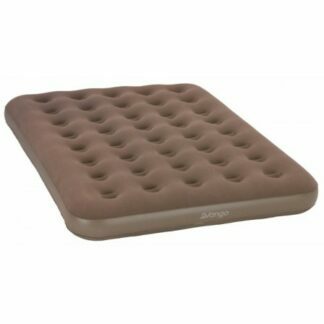 Vango Centara 800 2016 Spares. 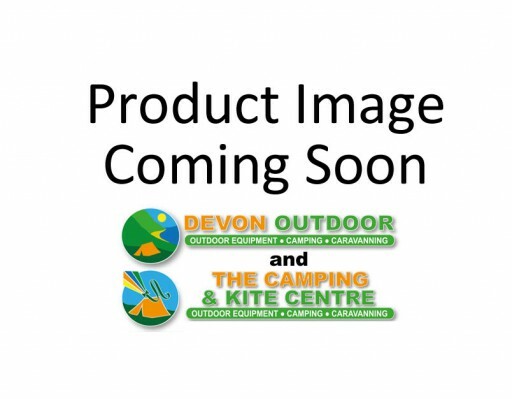 This listing is for spares that have been removed from a EX Display tent. 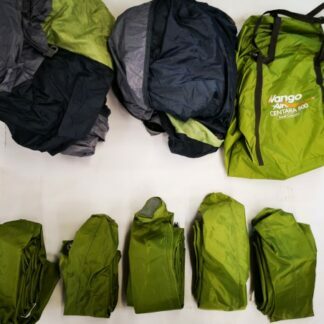 All spares where in full working order when removed from the tent. 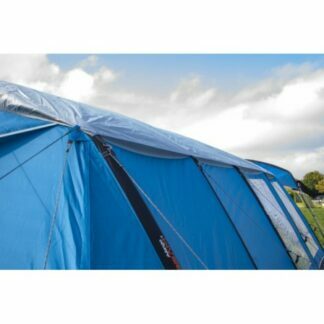 We always recommend to customers when they are buying a new tent that it is a good idea to take a spare air tube on there holidays to avoid unforeseen circumstances, just the same as we would recommend taking a spare pole for a poled tent. 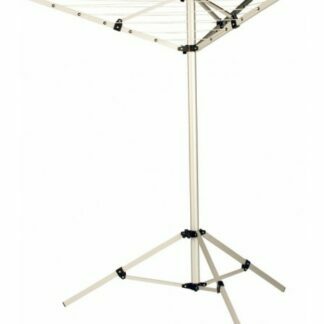 The Vango Clothes Dryer means that there is no need to hang clothes on guy-lines or draped over chairs in the tent. 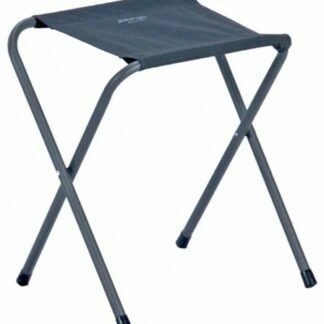 The Vango Coronado Stool is a functional, strong and reliable camping stool, which is ideal for fishing, picnics and sitting round the campfire. 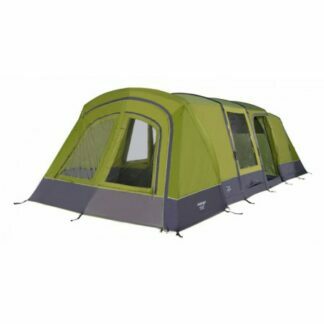 The Vango Cove Low Driveaway Awning is the perfect lightweight awning for those who want an easy to pitch awning for short trips away. 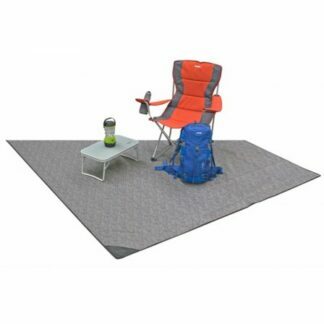 The Vango Cruz Carpet makes your awning a home by adding warmth and comfort underfoot. 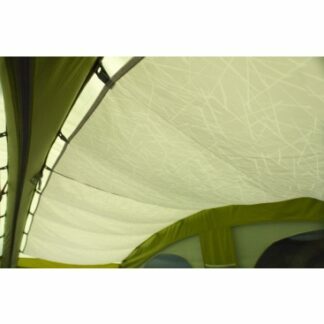 Fitted to specifically match your awning. 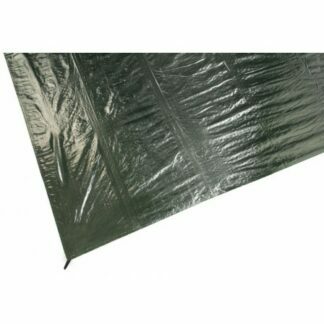 The Vango Cruz Footprint will help protect your awning groundsheet at any campsite whether it is hardstanding or grass. 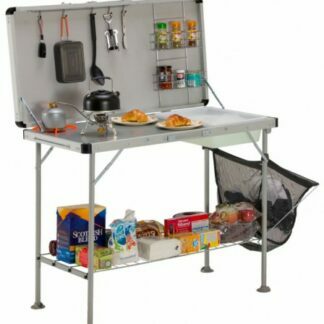 The Vango Cuisine Kitchen Stand is a great addition to your camping experience as it encompasses everything you need out of a camping kitchen. 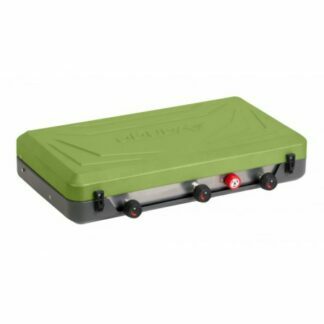 The Vango Driveaway kit 4mm to 6mm allows you to attach your awning to your vehicle, thus you can easily detach your awning from your vehicle and drive away. 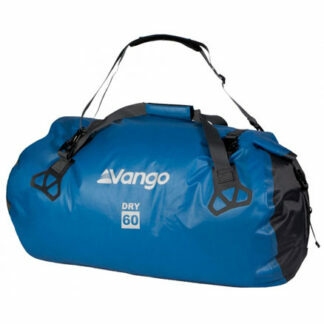 The Vango Driveaway kit 6mm to 6mm allows you to attach your awning to your vehicle, thus you can easily detach your awning from your vehicle.